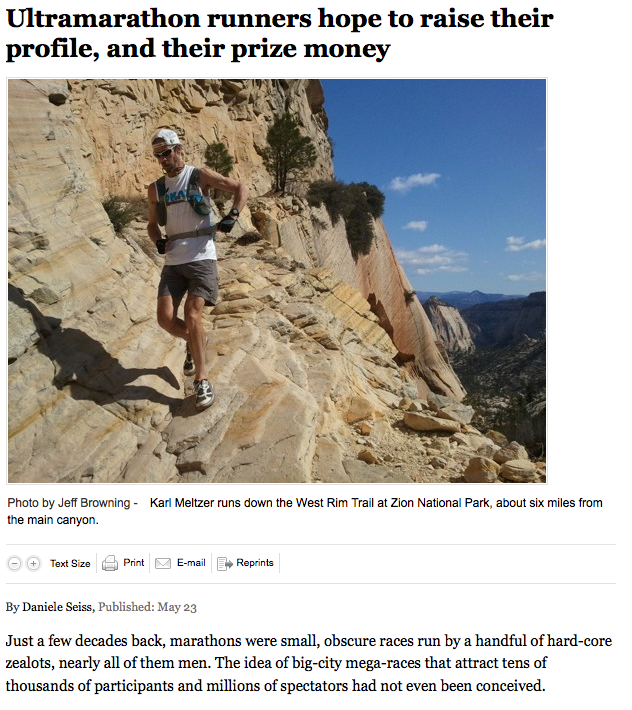 The Washington Post ran an article this morning about the growing demand of trail and ultrarunning, and the desire by its top runners to have bigger prize money. I swear I've read this article a few dozen times already in the last five years, but this one is put together nicely with comments from Karl Meltzer and Anton Krupicka. Be sure to give it a read! Does Excess Training Lead to Mental Decline?